Christoph says the German style vise is sometimes called "steirisch"(Styria is a part of Austria). While these vises do not look a lot different than an English Blacksmiths Vise there is a considerable technical difference. On the German vise the cheek plates support the outer jaw for about half its length where on English vises it is only about an eighth the length of the jaw. On the German vise the jaw is supported by the pivot pin AND rides on the top of the cheek plates. These two features make the outer jaw much more wobble resistant and the whole considerably stronger. 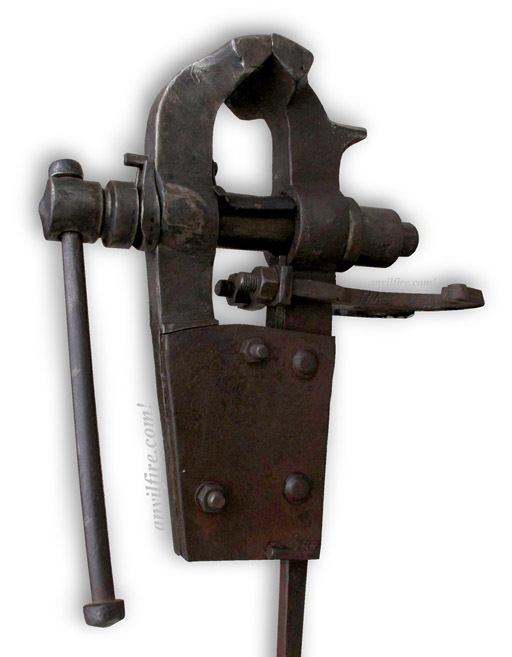 Another difference is that the bench bracket on German vises is held on by bolts where the English and their American derivatives used straps and wedges or pins. 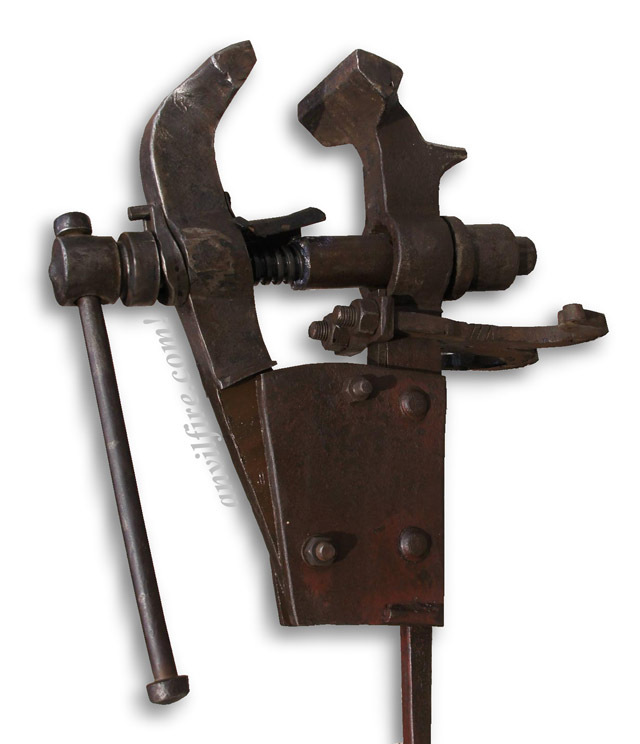 The rest of the differences are mostly in style, the shape of the jaws, the small back jaw "anvil", the little curls on the ends of the bench bracket and the square leg. Weight: 40 Kg (88 lbs). The weight verses jaw width is roughly proportional to English Vises but a bit heavier, possibly due to the large cheek plates.